I love it when a long weekend turns into a proper holiday. I was only in Mexico from Thursday afternoon through Sunday morning but somehow it felt as though I had been away for a solid week. 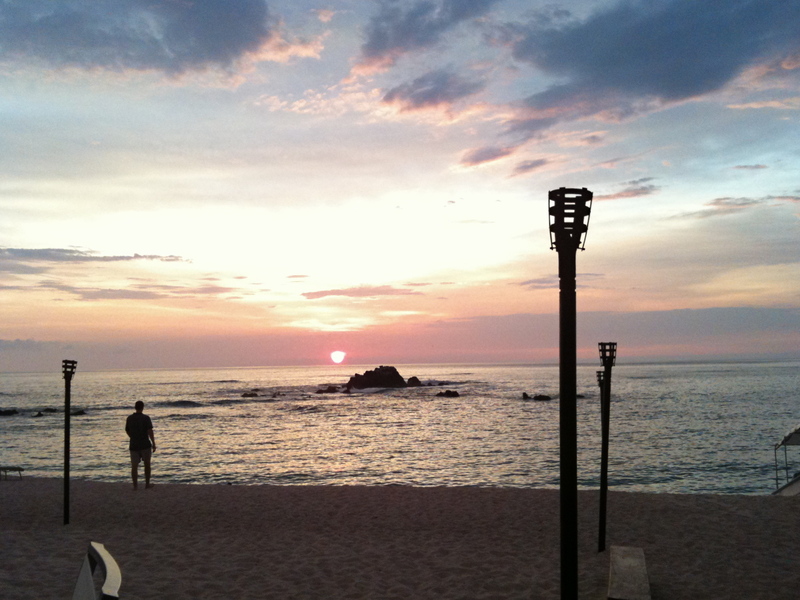 Give credit to Four Season Punta Mita which made me feel like royalty in their ineffably discreet and unfussy way. Here’s one final sunset as seen from Bahia, the resort’s relaxed grill under the giant manzanilla trees on Las Cuevas beach. This particular night I enjoyed the spicy Zarandeado Snapper – a whole pink snapper marinated with spicy achiote and grilled over a mesquite fire. Delicious, yes – yet not nearly as seductive as the view.